Shirts With Random Triangles: Ohio State releases hype video for Saturday's game against Michigan State. Michigan St. is struggling this season with a surprising 3-7 record. 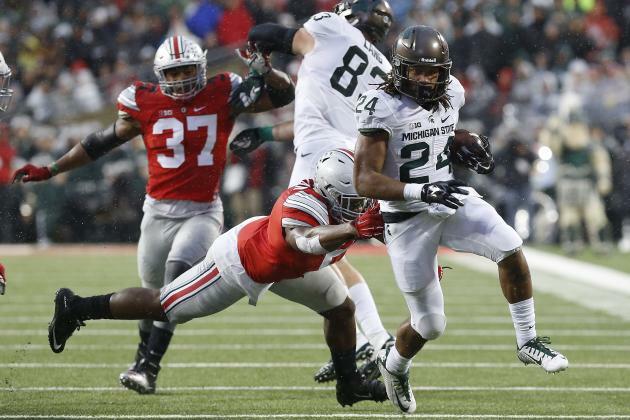 It doesn't mean Ohio St. isn't taking the two school's meeting on Saturday any less serious. The school released a hype video to promote the game. It's called "Finish What You Started." Sadly, the video has nothing to do with the Sammy Hagar-era Van Halen song. Instead it has the generic intense dramatic music, though without any "Inception" drops.